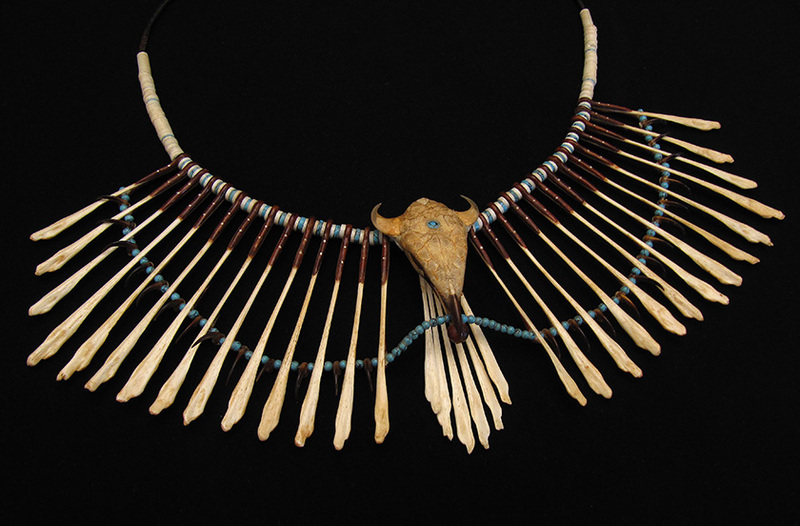 The Eagle necklace is made of various turkey bones and claws interlaced with turquoise and (recycled) ivory pieces. 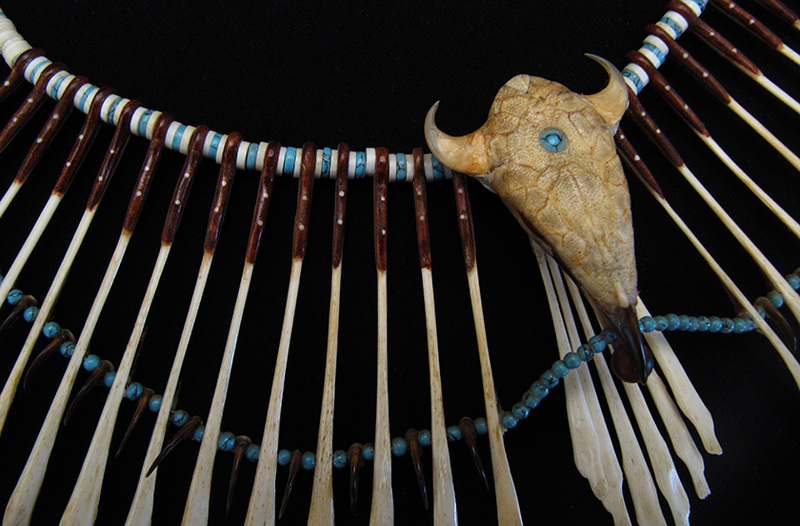 The bones are hand-drilled and attached with small hand-made ivory pins. 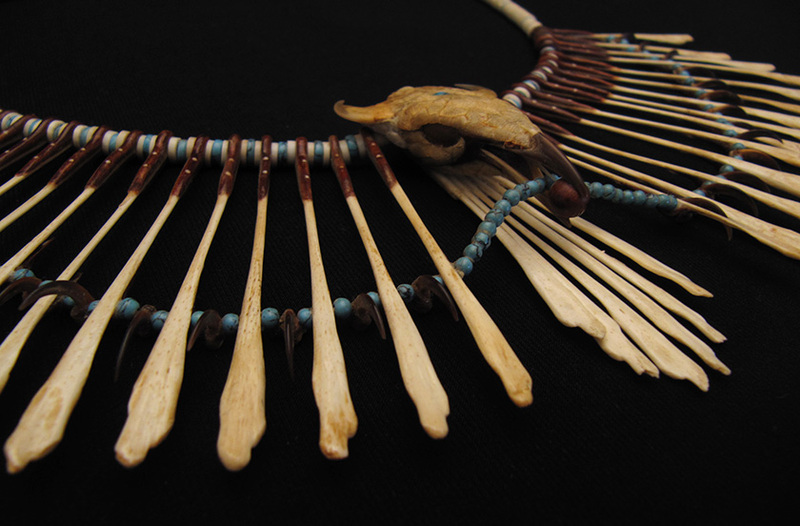 The head is made of snakeskin with amber eyes.